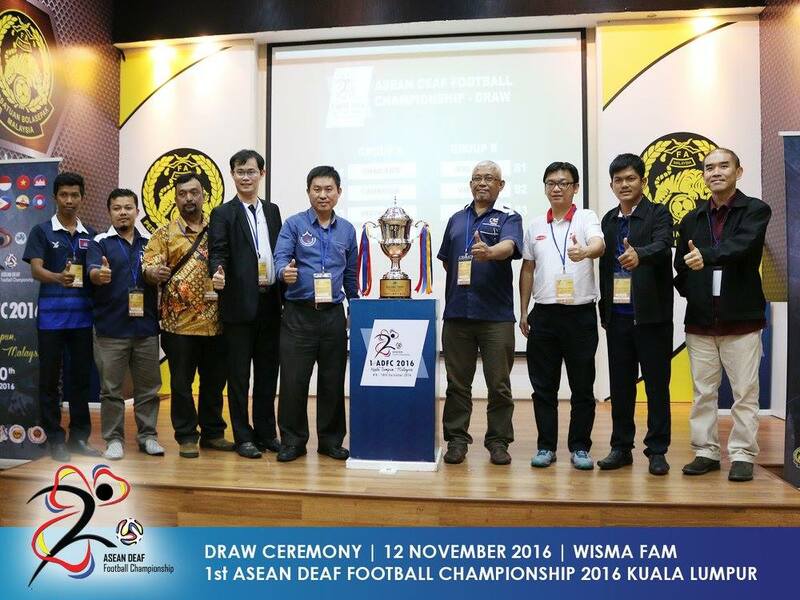 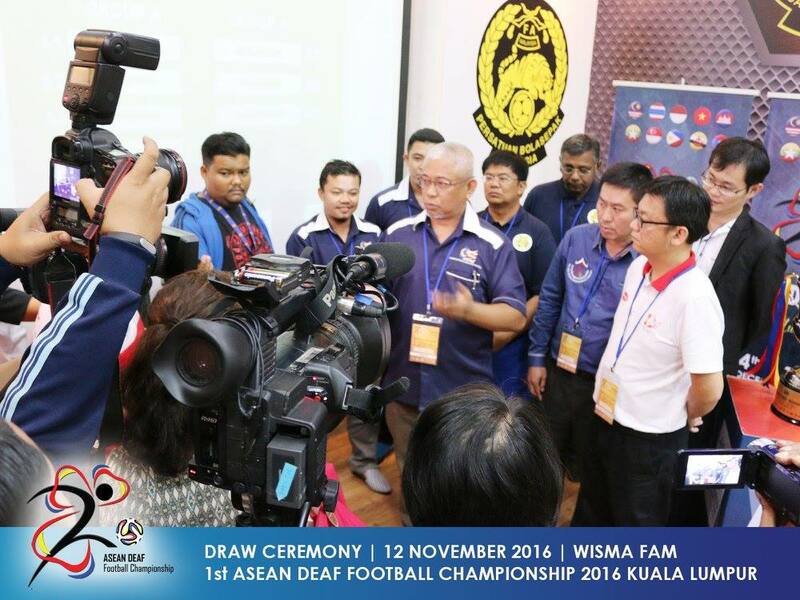 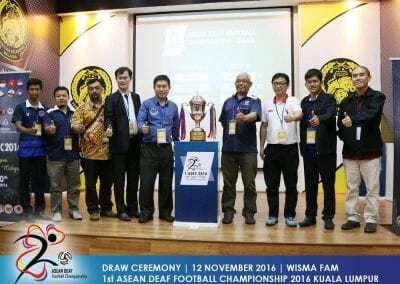 Malaysian Deaf Sports Association successfully hosted the inaugural ASEAN Deaf Football Championship in Kuala Lumpur, Malaysia from 4 – 10 December 2016. 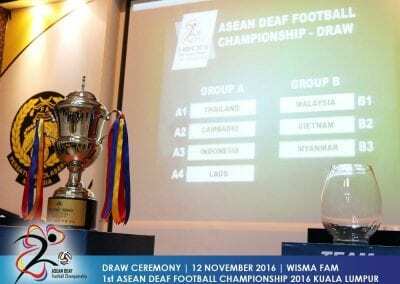 Seven countries from the Southeast Asian region, participated in the tournament. 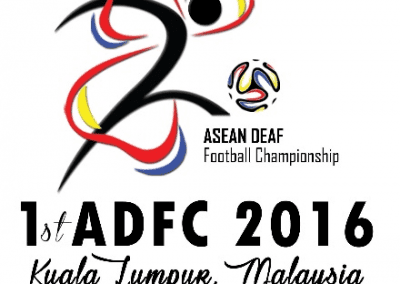 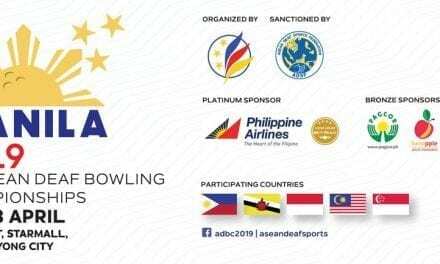 It is the first time to the four countries as Myanmar, Laos, Cambodia and Vietnam are participating in the football tournament although they do not have the proper National Deaf Sports Associations. 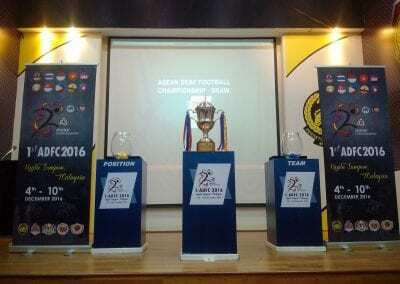 The other teams Indonesia, Thailand and the host Malaysia joined the tournament. 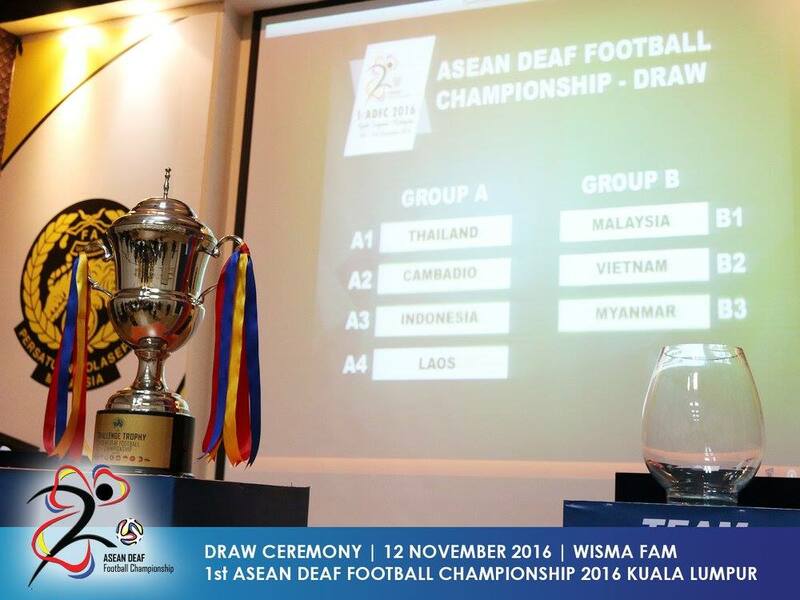 Thailand, Cambodia, Laos and Indonesia have been grouped in Group A while Malaysia was drawn together with Vietnam and Myanmar in Group B. 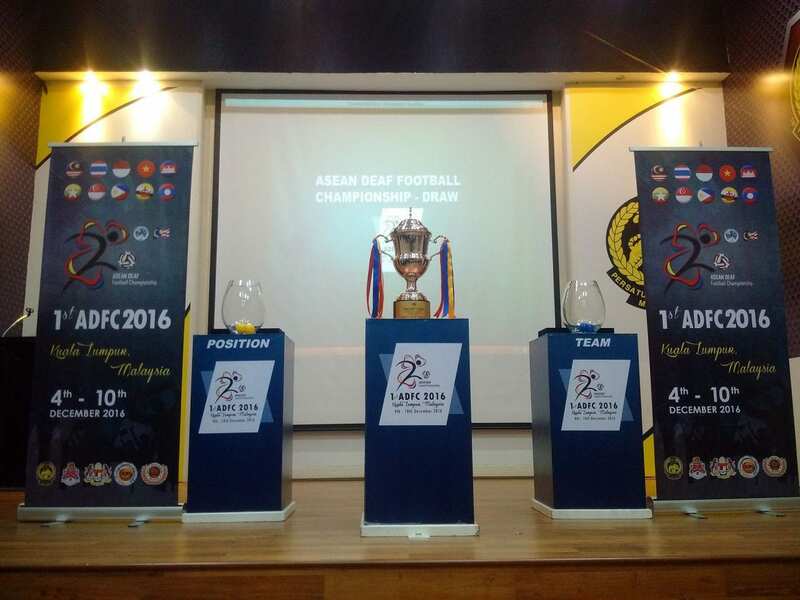 Over 7 days, the teams battled in the preliminary rounds. 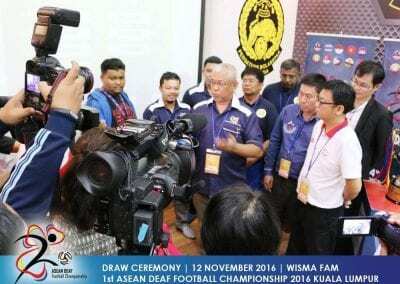 Malaysia and Thailand entered the Finals and ultimately Thailand emerged as the Champions. 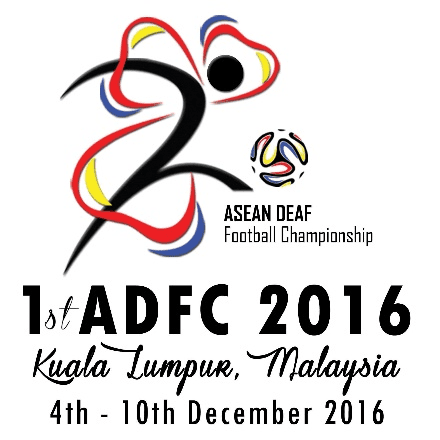 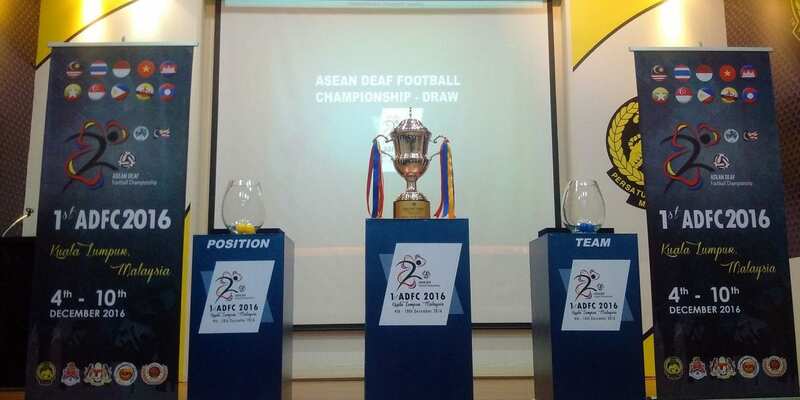 The finalists, Thailand and Malaysia recently participated at the Asia Pacific Deaf Football Championship in Busan, South Korea.